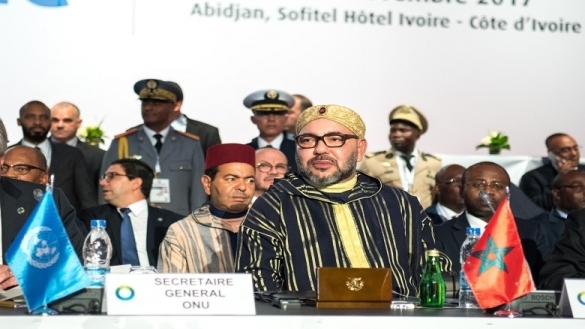 Rabat - King Mohammed VI sent on Wednesday a message to the 5th African Union-European Union Summit in Abidjan in his capacity as Leader of the African Union on the Migration Issue. 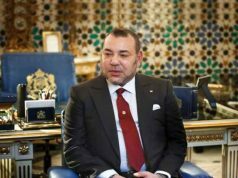 Rabat – King Mohammed VI sent on Wednesday a message to the 5th African Union-European Union Summit in Abidjan in his capacity as Leader of the African Union on the Migration Issue. 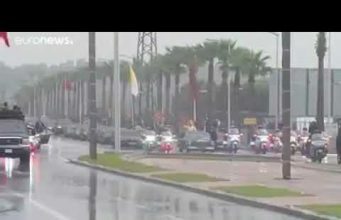 First of all, I should like to express my sincere thanks to our distinguished host, my brother President Alassane Ouattara, and through him, to the people of Côte d’Ivoire, for the warm welcome I have received since I set foot in this country, which is so dear to my heart – a country I have much pleasure in visiting each time. 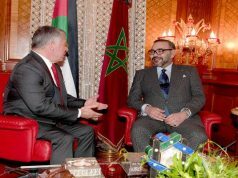 The Kingdom of Morocco welcomes this Summit, which has brought together the continent to which my country belongs – Africa – and the continent which is Morocco’s neighbor and partner – Europe. 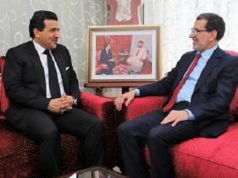 Morocco is pleased to fulfill its role as a natural link between the two continents. Seventeen years after it was established, the Partnership between Africa and Europe is as relevant as ever. However, it is no longer the time now for diagnoses or useless controversies. The time now is for action. It is essential that the courageous, responsible dialogue between former colonizer nations and former colonized countries remain frank and direct. Today, fresh impetus needs to be injected into it. The European Union and the African Union are two essential and inevitable regional groupings. Because they are important to each other, each one of them is important in its own right. They are just as concerned by opportunities and responsibilities as they are by the challenges they face. Solidarity between Europe and Africa is neither a hollow concept nor some sort of association based on one-way philanthropy; it is built on shared responsibility and mutual dependence. It follows that the logic of a vertical aid pattern can today give way to a genuine horizontal partnership. To that end, there should be a shift in the EU-Africa Partnership towards a new bicontinental Pact. 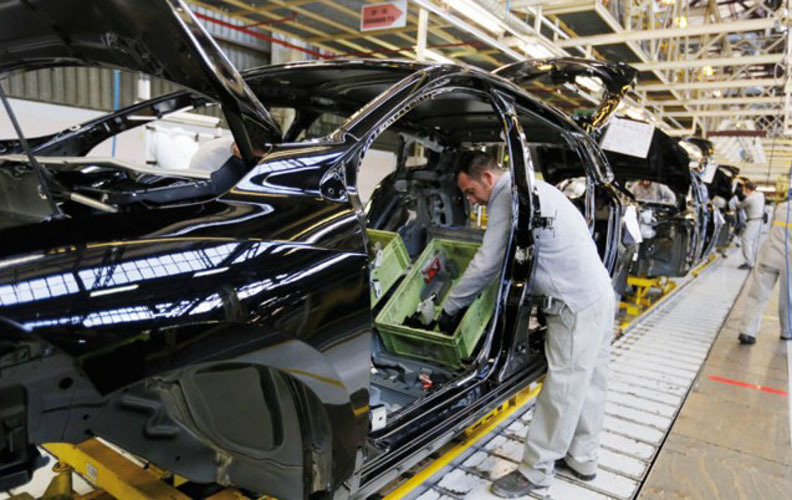 Both Africa and Europe must rise, together, to inevitable challenges through shared competitiveness, co-localization of productive businesses, regulated human mobility and fruitful cultural exchanges. At the same time, the conditionality of the debt must be reconsidered: indeed, Western countries expect some African countries – which gained independence less than half a century ago – to perform in politics and the economy as optimally as they themselves do, and they therefore impose impossible conditions on them. This aberration is all the more inexplicable as these European countries sometimes face significant financial and political difficulties themselves. Relations between Africa and Europe have always been marked by population movement and migratory flows. Tens of thousands of African migrants try, each day, to reach Europe, often putting their lives at risk. The 21st century will be a century of large-scale human intermingling. This common sense conclusion means we should refrain from giving any ideological, emotional or even xenophobic twist to the discourse on migration. Because of their geographical location, some countries have become a land of immigration. 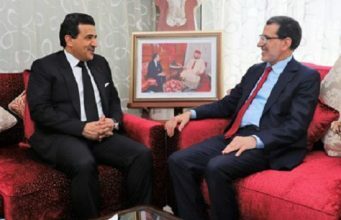 This has been the case for Morocco from the very beginning – and more so since the country’s independence. It has always been the target of several waves of migration: our European and Maghreb partners know this only too well. In Africa, the concept of borders emerged after the independence era. During the post-colonial period, the management of migration issues has only been moderately successful; migration has systematically been perceived not as a source for solutions and opportunities, but rather as a threat and a source of desperation. There was a time when migration was connected with commercial travel and religious pilgrimages, or was the consequence of conflict and pandemics. In today’s world, it has taken on a negative connotation, since it is being associated with drugs and other trafficking – even with the damaging effects of climate change. To put it simply, in the collective mind today, immigration is associated with such scourges as poverty, precariousness, instability – even death. Thus Libya, a new crossing point between Africa and Europe, has become the corridor of all evils, epitomizing all types of misfortunes. We are deeply shocked by the atrocious practices reported by the media and currently plaguing migrants in our region. This is an utter denial of humanity. These practices, at the hands of armed militias which are beyond the control of the Libyan government, call for collective soul searching on the part of accomplices and of those responsible for this trafficking, which is incompatible with the most basic human rights. 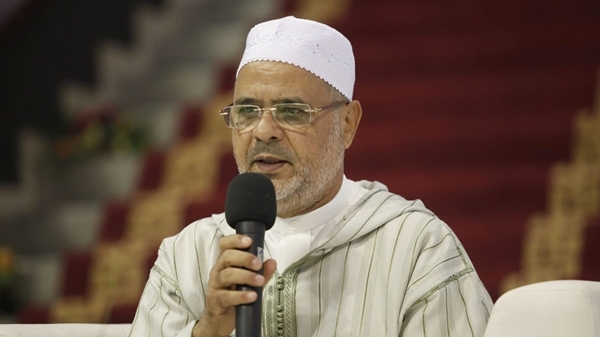 These practices are inconsistent with the values and traditions of our brothers and sisters in Libya. Because of an inability or unwillingness to understand the root causes of migration, the phenomenon is often confined or reduced to stereotyped representations, through images of an influx of people without work and without resources, sometimes offering dubious profiles. One would be tempted to blame European populations for harboring fears concerning such a massive influx and for seeing it as a threat. Unfortunately, those fears are not always baseless. And yet, let us not deceive ourselves. Our regional groupings could have dealt with the situation more effectively. 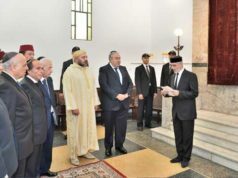 In fact, one could rightly think that if the Arab Maghreb Union had really existed, we would have been stronger in the face of such a challenge. Alas, the AMU does not exist! And because of regional conflicts, migratory flows often fall prey to different trafficking networks, ranging from drug trafficking to terrorist networks. My country, Morocco, suffered from this for a long time, and still does today. Let me repeat this: now is the time for action. Can we find effective solutions, or are we forced to remain confined to a rationale of mistrust? I am saying it loud and clear: We can act. But we cannot accomplish everything and, above all, we cannot do it alone: European policy in this domain should change. It is not acceptable that the best African talents should be coveted by Europe and found on the benches of prestigious schools as much as in businesses on the continent, without regard for the investment made by the country of origin in terms of training. The brain drain caused by this situation is appalling. 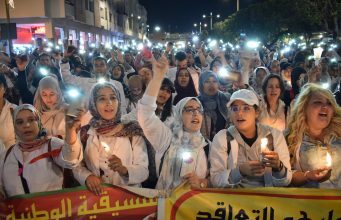 Having been a migrant-emitting, transit and destination country, Morocco has developed an introspective approach to the migration issue, which it perceives in an inclusive, positive light. We realize the challenges posed by migration, but we are also aware of its positive aspects. There are plenty of them. Like their Moroccan brothers, African migrants contributed in no small measure to reconstruction in post-war Europe. In this regard, African countries legitimately feel wronged. In the early 1970’s, young Moroccans went cheerfully to Europe for the harvest or to help in the fields. Nowadays, the prospect of such a journey would be a pipe dream! 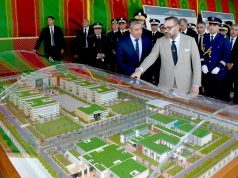 For the past ten years, Europeans have been settling in Morocco, bringing along their know-how, setting up local SMEs and creating jobs. Today, a new vision is needed: we ought to turn immigration into a subject of peaceful debate and constructive exchange. In the North as in the South, we all stand to benefit. Although such a way of looking at things is faltering for the moment, there is no doubt that one day, together, we will achieve that objective! In my capacity as the Leader in charge of the migration issue within the African Union, I am particularly keen to submit proposals to My Brothers and Sisters the Heads of State at the next AU Summit in order to chart a real African Agenda on migration. In July 2017, I laid the foundations for this Agenda through the preliminary draft I presented to my brother President Alpha Condé at the African Union’s 29th Summit of Heads of State and Government. This full-fledged Agenda requires that we speak with one African voice, in accordance with our own work plan. Given the unprecedented migratory flows we are witnessing, that Agenda is more important than ever. It involves four levels of action: national, regional, continental and international. • And, lastly, I would remind you that there is no longer any distinction between migrant-emitting, transit and destination countries. 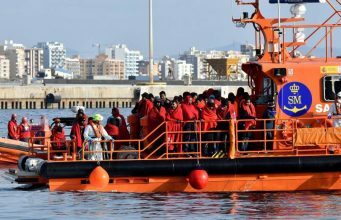 Under the above-mentioned Agenda, African countries would shoulder their responsibilities in terms of guaranteeing the rights and dignity of African migrants on their soil, in accordance with their international commitments, thus doing away with the shameful, inhuman practices inherited from a bygone era. I would be remiss if I did not end my remarks on a hopeful note: that our Partnership will flourish and become more diversified. I deeply believe that the Abidjan Summit will be a watershed moment in the African-European partnership, and that it will mark a qualitative leap towards greater stability, security and prosperity on both continents. To put it simply, it is up to us to come up with a constructive agenda to shape a better future.